Today we are delving farther into the Quilt feature in Quilt Path. To work along, under the Design & Create section, tap on the Quilt option. This will bring up a basic quilt. 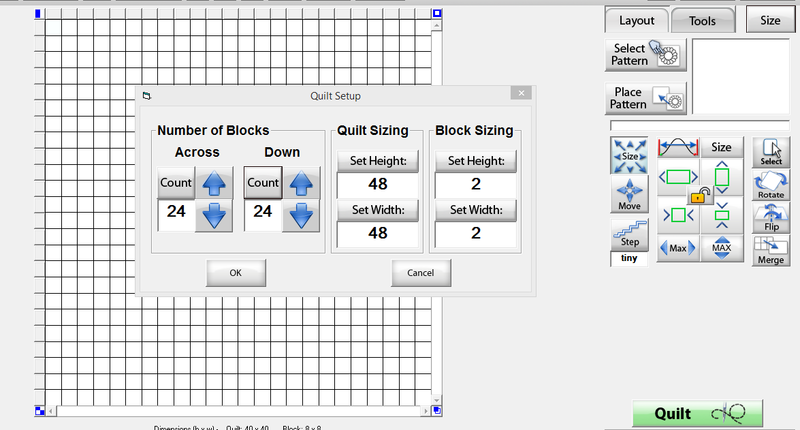 For this tutorial, click on the size button on the right and change your settings so that you have a quilt with 24x24 blocks that are 2 inches high as shown below. The goal of this tutorial is to get you to start playing. For my example quilt my outer board is six inches wide so I want to select the first three blocks all the way across the top of the quilt. 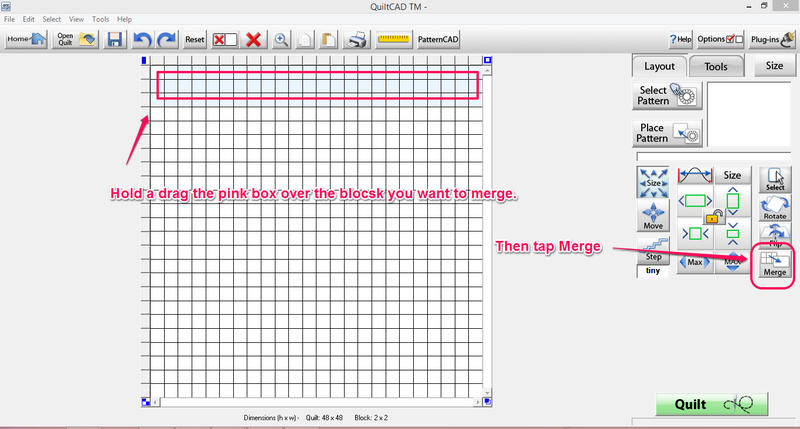 If I do this by clicking or tapping and holding and drag across the blocks I want to merge, you will notice that a pink box forms. 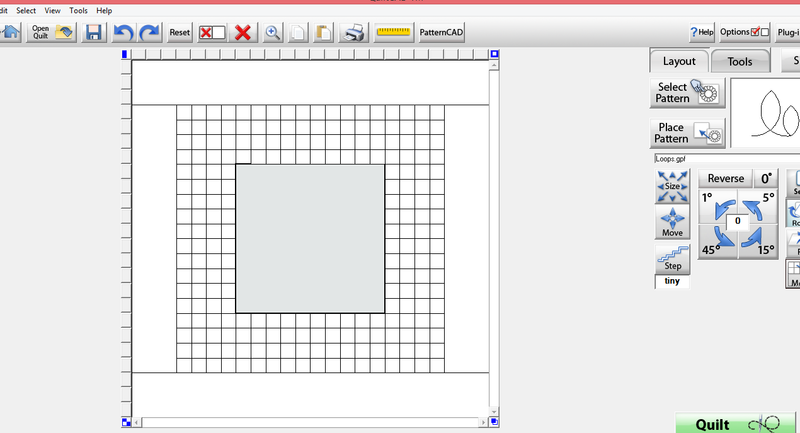 You want that box to touch and/or encircle the blocks you are merging. If it touches a block at all it will include it in the merge. Once you get the first are merged, you will want to click on Select and Unselect all or tap on the space you just merge to deselect it. Then Highlight the next area you want to merge and continue the process. Here is another example of merge. I have completed the merging the borders. 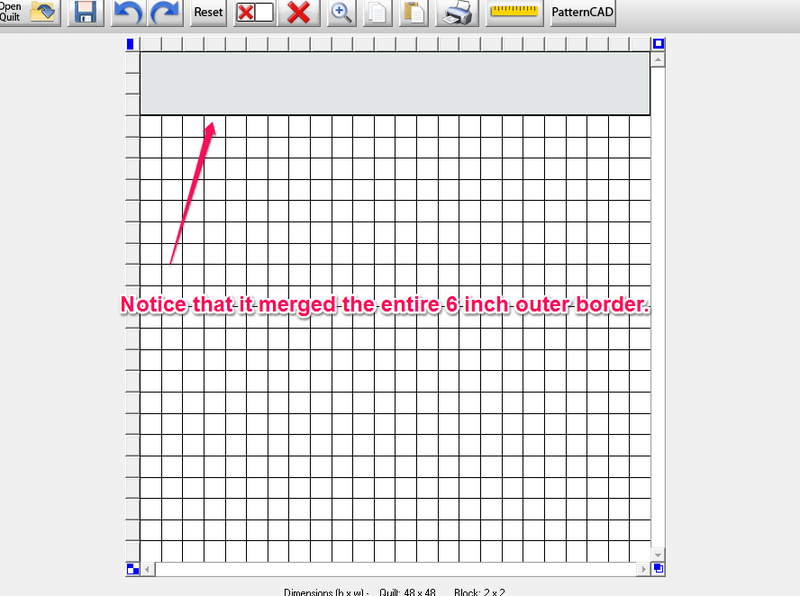 Not that you cannot wrap the borders so you will need to do borders like you would for a quilt that does not have a mitered border. I have drawn the pink box around the 20 inch block at the center of my quilt. When I tap merge I get a solid block. 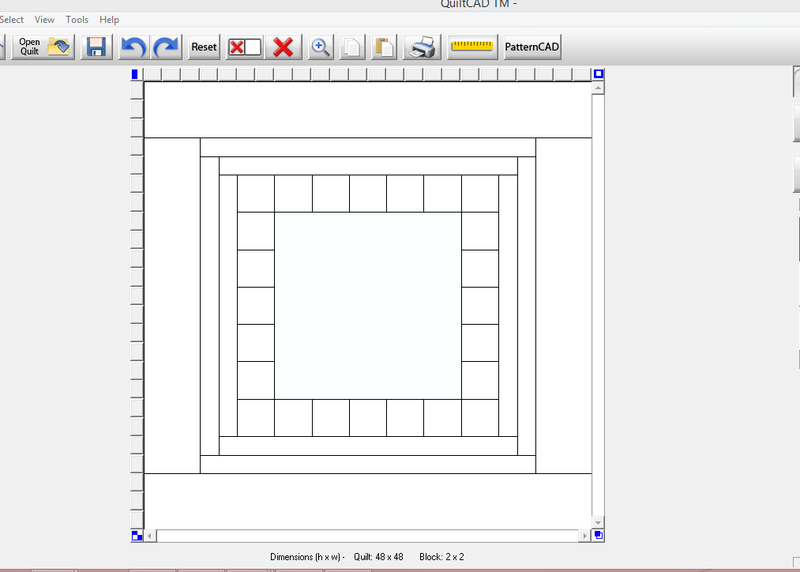 Each of my blocks is a 2 inch square. Starting on the outside of the quilt pictured below, I created a 6 inch border, (2) 2 inch borders. Border made up of 4 inch squares and a 20 inch center square. They only way you are going to learn this one is to play. Remember to do unselect after each merge. Watch for a future Tech Sunday post were we will discuss pattern placement within these merged areas. 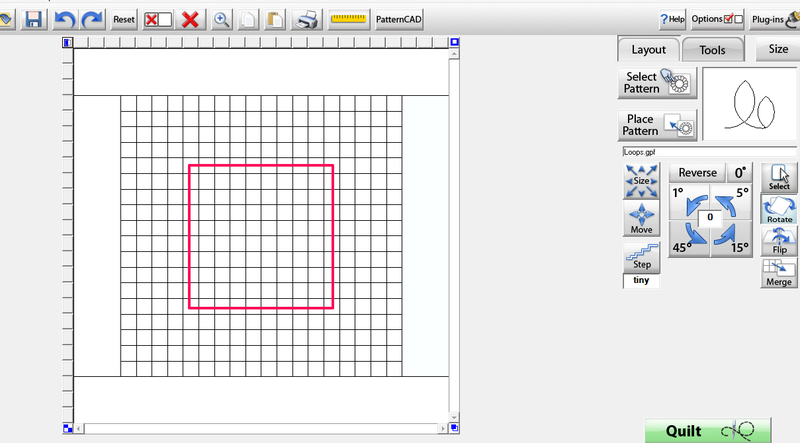 Click here for a PDF of this tutorial.